fbb Colors Femina Miss India East 2017 pageant wrapped up with infinite oomph and glamour on 28th March, 2017 at Swissotel, Kolkata which played the perfect hospitality partner for the same. India’s most prestigious and credible beauty pageant gives the winners of the 13 states of the East Zone a lifetime opportunity to get a direct entry to the Grand Finale of fbb Colors Femina Miss India 2017 in June. 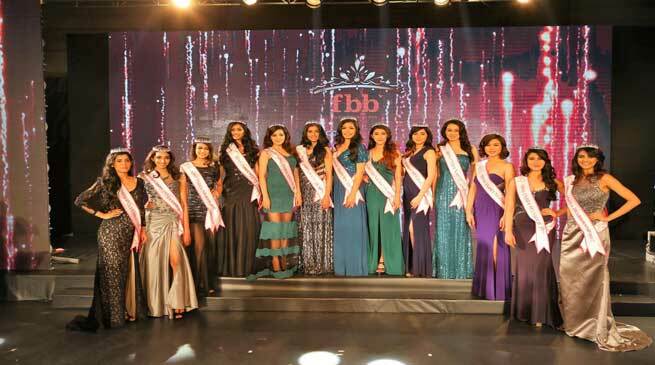 fbb Colors Femina Miss India Arunachal Pradesh – Licha Thosum were adjudged winners. fbb Colors Femina Miss India Assam 2017 – Tribeni Barman, fbb Colors Femina Miss India Nagaland 2017 – Kaheli Chophy, fbb Colors Femina Miss India Mizoram 2017 – Rody H Vanlalhriatpuii, fbb Colors Femina Miss India Manipur 2017 – Soibam Kanchan, fbb Colors Femina Miss India Tripura 2017 – Rinky Chakma, fbb Colors Femina Miss India Meghalaya 2017 – Kiran Laishram, and fbb Colors Femina Miss India Sikkim 2017-Roshni Ghimirey.